Henry and Maria Flurry are the founding members of Sticks and Tones, members of the juried list of Roster Artists of the Arizona Commission on the Arts. We are based in Prescott, Arizona. Our goal is to educate, entertain, and motivate children. Maria Vomlehn Flurry holds undergraduate degrees in music performance and music education from the Peabody Conservatory (Baltimore, MD). She received her Master's Degree in percussion performance from the University of Michigan (Ann Arbor, MI). She was co-founder and long time partner in the award-winning children's music group Harpbeat!, based in southeast Michigan. With Harpbeat!, she co-produced and performed on three children's music albums. The CD, Around the World in a Harpbeat , received critical acclaim from Parenting and Family Fun magazines. Maria plays percussion professionally. 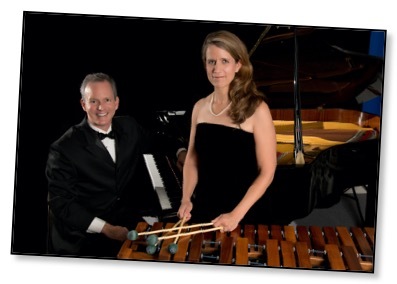 She is principal timpanist in Flagstaff Symphony Orchestra and Arizona Philharmonic. She has performed with the Detroit Symphony Orchestra, Phoenix Symphony, Baltimore Symphony and the Michigan Opera Theater. She has "backed up" such artists as Roberta Flack, Ray Charles, Mel Torme, Jim Nabors and has toured with Mannheim Steamroller. 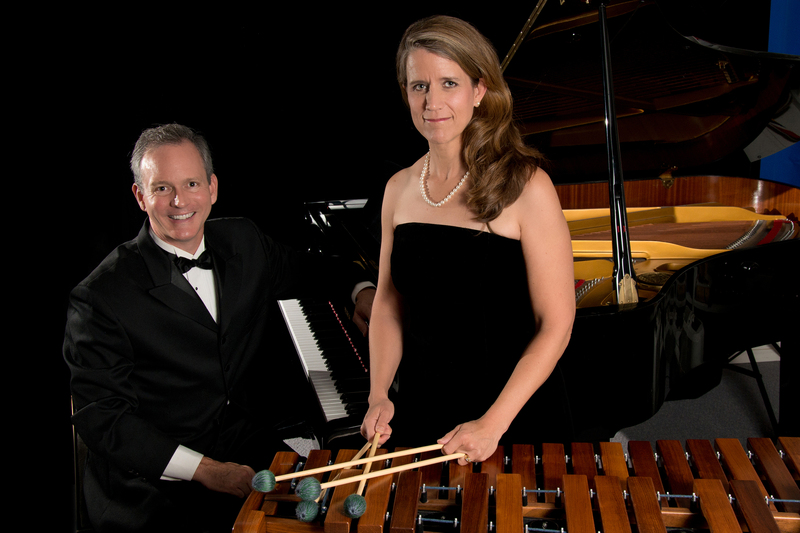 She solos as a concerto percussionist in pieces such as Tan Dun's Water Concerto, Kenneth LaFave's Canto de Alba, Henry Flurry's Ragtime Dances for Marimba and Orchestra, and Chris-Burton Jacome and Henry Flurry's Impulso: Symphonic Dances for Marimba, Flamenco Guitar, and Dancer. Maria has taught both Spanish and Music in public schools. Before moving to Arizona, Maria taught at the Ardis Renaissance Academy in Ypsilanti, Michigan. She created and implemented the Spanish program at this performing and language arts elementary school. Henry Flurry holds undergraduate degrees in music theory and composition and electrical engineering from Northwestern University (Evanston, IL) and a Masters of Fine Arts in Composition from University of Birmingham (UK). He taught for several years at the University of Michigan School of Music and helped author multimedia software for companies such as Disney, Hasbro, and Mattel. Henry teaches Composition & Piano (including the Suzuki Piano method). He composes music from solo to large ensembles, and of latehas been focussing on composing large orchestral pieces. His works have been performed and commissioned by many groups, including the Louisiana Philharmonic Orchestra, Prescott Pops Symphony, Prescott Chamber Orchestra, Atlanta Wind Symphony, Yavapai College, Kennesaw State University, Balance Duo. Arizona Philharmonic premiers two significant works of Henry on its inaugural concert August 26, 2018. Henry is also the developer of Music Flash Class, a versatile music note flash card app for iPhone and iPod Touch that is designed to be used by teachers and students. Henry’s compositions can be viewed and heard at at HenryFlurry.com/public_portfolio/. His music is published by Nathana.com. Together Henry and Maria founded Chaparral Arts, Inc. a nonprofit supporting the performing arts and education in Arizona. Both Henry and Maria are bilingual in Spanish and English. Maria spent much of her childhood in and around Mexico, and Henry started learning Spanish with their first child, just so he could keep up! Henry and Maria are recent empty-nesters, having (almost) graduated from raising two fabulous children.